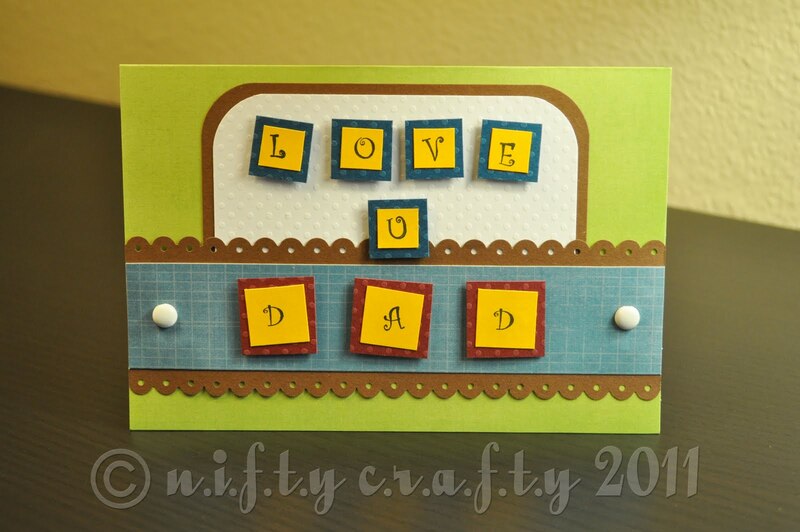 I don't have any masculine stamps...but I was still able to come up with a "Love u Dad" message which I made using alphabet stamps. 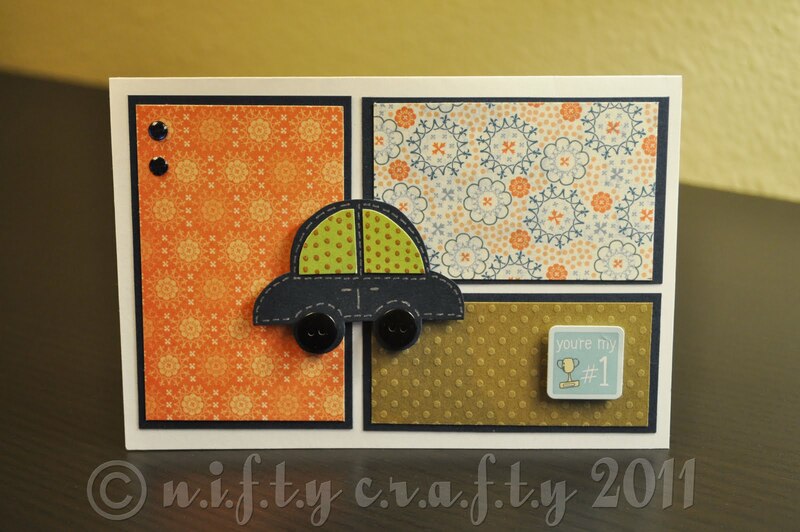 I love to use textured card compared to the design card as it looks more impressive and rich in quality. 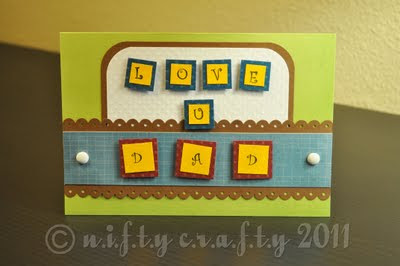 Hence, I used Swiss dot card as the base card for my alphabets. 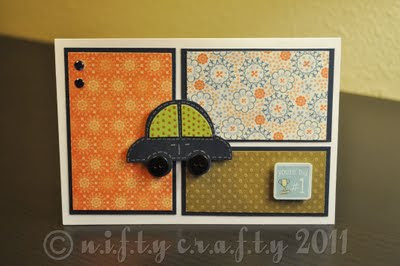 For this card, I simply used the layering technique to form the base design. Then, I sketched a little car image on a navy cardstock and outlined it with a silver pen. 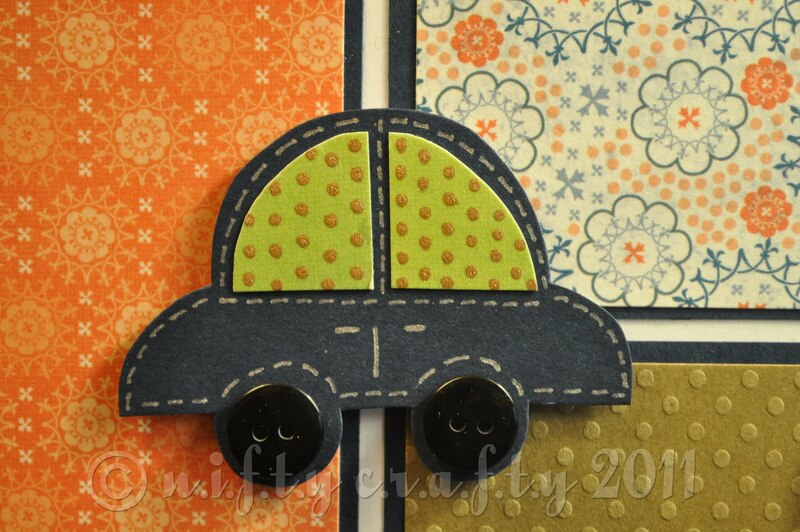 Buttons are the best form of embellishment out there...using buttons add a dimension to any card design...so here I used two black buttons as the car tires.